Welcome to The Queen Surf complex that embodies beach front living at its finest! You cannot beat the "forever" views in this beautiful Oceanfront condo, and the calming sounds of the surf from below. This wonderful highly upgraded sought after home has 2 Master suites with 1.75 baths and large walk in closet in the master. 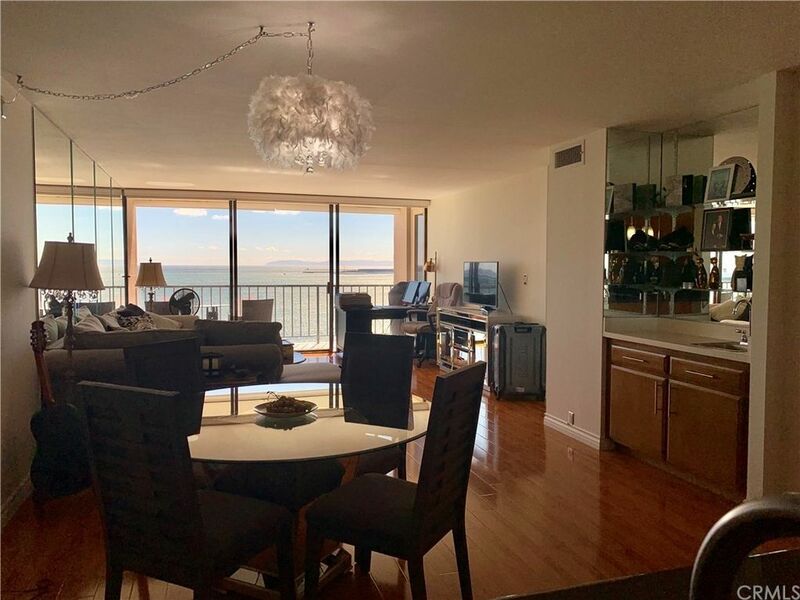 Inviting open floor plan with floor to ceiling windows and a nice balcony off the living room and Master bedroom to take in the breathtaking views and enjoy the ocean breeze. Both the balcony and the living room have custom window shades to keep the unit cool during the summer months. This condo comes with 2 secure parking spaces, the building is well maintained and offers a clubhouse, kitchen, gym, game room, on-site property manager. The beach side pool and sundeck is accessed through the building straight on to the sand! This residence also offers A/C and FIOS TV. The Queen Surf offers the closest location to the ocean's edge along the Ocean Blvd. corridor and is truly a great opportunity for you to enjoy the amazing coastal lifestyle that Downtown Long Beach, Alamitos Beach and nearby Belmont Shore have to offer! Dining, shopping, Metro link transit and plenty of Bike friendly trails along with a fantastic boardwalk are sure to impress and offer great opportunity to enjoy all that Long Beach has to offer.